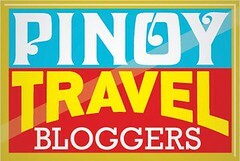 A vacation in Puerto Princesa is never complete without dining in KaLui! This I have learned after a series of travel-related conversations with my friends and after reading several blog posts on Puerto Princesa. KaLui seems to be the most popular and the most recommended local restaurant in the province. I heard it is a native restaurant just like the others, but I was curious on what makes it different from the rest. So, on our first day in Puerto Princesa, just as soon as we dropped our bags at Marianne Home Inn, I immediately asked the receptionist about KaLui. She gladly made a call and reserved a table for four at 6:30pm. Having an early dinner wasn't really our choice, but KaLui was fully booked at 7:30pm that night and 8:30pm would be so late for us. As our Puerto Princesa City Tour ended at 6pm and we had to freshen up before dinner, we arrived in KaLui 10 minutes late. Despite of that, we were still warmly welcomed at the restaurant's reception. A staff told us to remove our footwear and keep them in a shoe box. I felt that dining in KaLui is like being invited in a local home; shoes are kept outside and guests go in barefoot. KaLui, indeed, has the warm atmosphere of a native Filipino home. 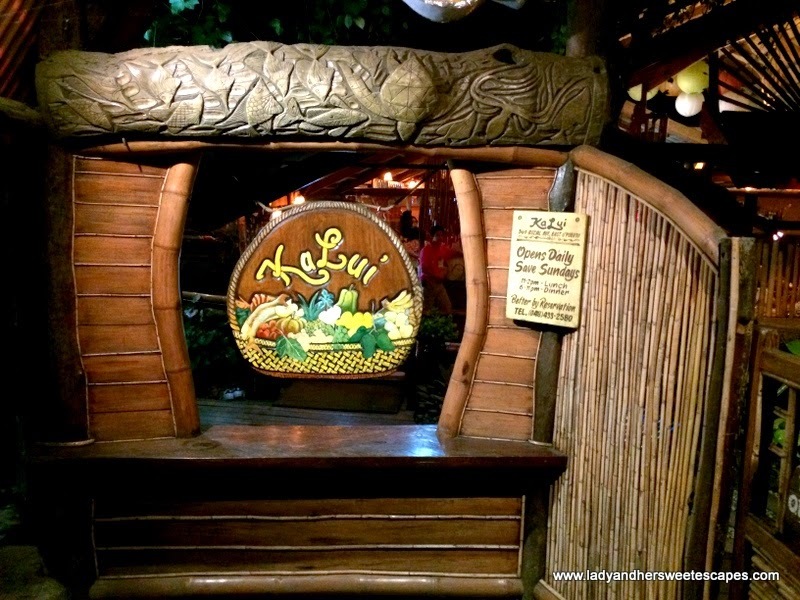 It has the concept of Bahay Kubo with nipa roof, woven walls and wooden floor, but KaLui is more of an upscale version. The restaurant is beautifully adorned with Philippine handicrafts and artworks. The wall beside our table is lined by tribal masks which reminded me of my home province's Masskara Festival! I couldn't find any dull corner, all are bursting with art that somehow depicts the Filipino lifestyle. Near our spot is a table for 7 with floor cushions covered with banig, a traditional handwoven mat. Even the washrooms are astounding. The ladies room has a lounge area which is also adorned with breathtaking artworks. I was so excited to see what KaLui can offer and hoped it would match the exceptional ambiance. Most are seafood on the menu which is A-Okay for the family. Just like Badjao Seafront, KaLui also offers a set meal. According to the menu, KaLui Special of the Day Set is good for two. Our server recommended that one set and one a la carte dish will be enough for the family. KaLui Special of the Day includes a starter, a vegetable dish, prawns, fish steak, fish rolls in coco cream and rice. We had a simple seaweed salad (lato drizzled with kalamansi) for appetizer. For our mains, we had a perfectly grilled tuna steak, two large pieces of prawns in garlic and butter, and two fish rolls in coco cream. I love prawns, but the fish rolls were the superstars of KaLui for me. I love the unique presentation. It is creamy but with a taste you won't get easily tired of! It actually left my taste buds asking for more! A bowl of sauteed vegetables was also served on the side. For the additional a la carte dish, we chose Sinigang ni Kaka. It is most probably a homegrown family recipe as the taste is far from the sour sinigang that we all know. Our server said that Sinigang ni Kaka's broth is infused with coconut juice, and that makes it totally different! At the end of the meal, we were given slices of fresh fruits topped with muscovado in a coconut shell. It is not a part of the set meal, but a complimentary dessert that KaLui offers to all the diners. Oh and how can I forget KaLui's Cool-la-lahs! The parents loved the Four Seasons Shake, while Ed and I enjoyed the refreshing Green Mango-Ginger combo. Now I know why dining in KaLui is definitely a must! Everything is so perfect; the ambiance, the food and even the service! No wonder the restaurant is always full and prior reservation is definitely needed. KaLui is open from Monday to Saturday at 11am to 2pm for lunch, 6pm to 11pm for dinner. Check out KaLui's enticing menu filled with mouthwatering native cuisine down below!